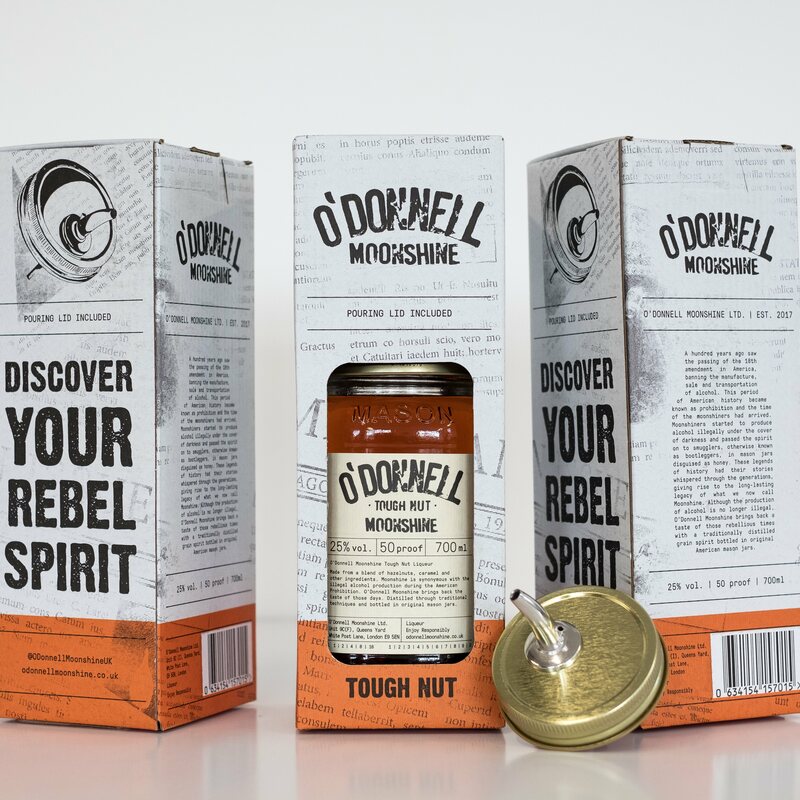 Our Tough Nut Gift Set + Mason Jar Pouring Lid is the O'Donnell Moonshine's bestseller! 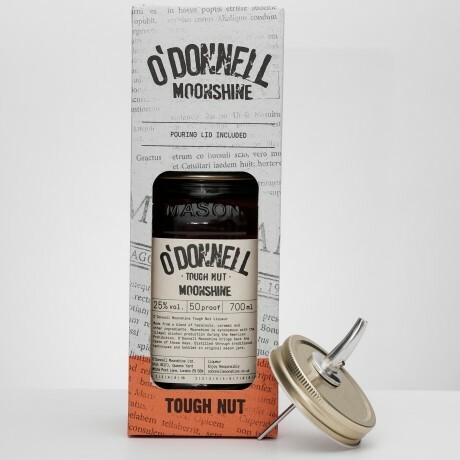 Tough Nut is a unique liqueur crafted from authentic high-proof moonshine blended with aromatic hazelnuts, soft caramel and velvety nougat and a dash of barrel-aged whiskey. For those new to moonshine, it was an illegal alcohol that was distilled during the era of prohibition in the USA - days which gave rise to gangsters, bootleggers and speakeasies. O’Donnell Moonshine brings back a taste of this lawless epoch to a new generation with their traditional grain based spirits. So you can discover your rebel spirit today! Their distinctive creations are carefully distilled using only the best ingredients and blended according to time-honoured custom. The flagship Tough Nut is a delight to enjoy neat, over ice, or as a seductive accompaniment to coffee. Also makes a fantastic cocktail mixer - try in a White Russian or an Espresso Martini. Bottled in traditional American Mason Jars and comes with unique design gift box + pouring lid. 700ml Mason Jar, 25% ABV, 50 proof. Gluten Free, Vegan & Allergen Free. This product contains alcohol and by purchasing this product, you confirm that you are 18 years of age or over. Tastes wonderful, and goes well with everything!